Serene HD-60 features 55+ decibels of amplification and is designed for those with severe hearing loss and low vision. 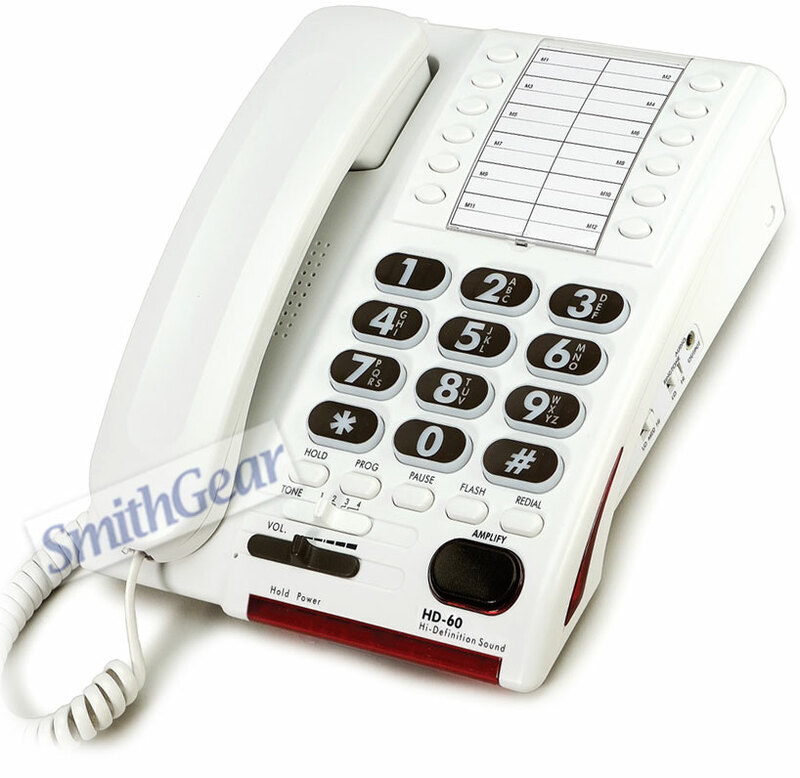 This phone also includes a large and brightly backlit keypad for easy viewing and 12 one-touch programmable memory buttons. The HD-60 phone also features a unique alerting feature which alerts the user if the handset has been left off-hook by accident or for too long. The phone detects the warning signal on the phone line and alerts the user with special loud rings and bright flashes. The phone will also sound it's OFF HOOK alarm if any other phone, for example, in another room (on the same line) -- is left off hook.